Christian hip-hop icon Lecrae recently commented on a controversial text conversation between him and “professing” Christian rapper The Game, regarding the latter’s Jesus Piece album that offended the Christian community. Upset with the way The Game portrayed the exchange, Lecrae wants to set the record straight. “It didn’t go down like [Game] said it went down, but it’s love,” Lecrae told The Daily Caller. The Game was the first to reveal the conversation even happened. 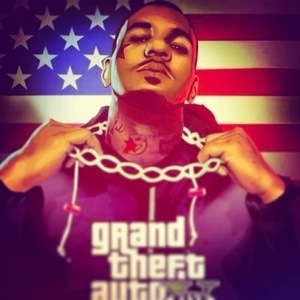 Back in December The Game told HipHopDX that though he had never met Lecrae, the Christian rapper felt the need to address the album’s content. Lecrae first tried to contact Game before he released Jesus Piece, which features Jesus on the cover looking like a gang member with a gold chain, and red bandana on his face. The two rappers have spoken several times since then and Lecrae says they’ve reached a mutual understanding. Jesus Piece debuted at #6 on the Billboard chart and Lecrae was the first Christian hip-hop artist to win a Grammy. Seems like both have been blessed by God but use their gifts for two seemingly different purposes. Back with a brand new flava for all the fans of this page!